Many of our customers have asked us how they can download fashion show videos from our website and play them in a continuous loop on their TV screens. 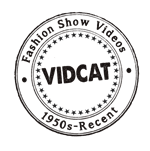 First, visit the VIDCAT Fashion Videos Download Store and purchase the fashion show videos you would like to play on your TV. After payment you will receive a receipt with the download links for your videos. Download the videos to your PC or MAC and copy them over to a USB Flash Drive. Place the drive into the USB slot of your TV and navigate to the USB connection on your TV (via your remote) and watch the videos. Most modern TVs will also have the function to loop/repeat the videos on your USB drive. If your TV remote does not have a Repeat/Loop videos function, we recommend using a Media Player which plays back videos from a USB stick drive. *This is not a Streaming Media Player which downloads videos from the internet, but rather a Media Player which plays videos from a USB drive. 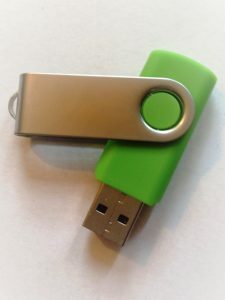 You simply insert the USB Stick Drive loaded with videos into the Media Player and connect the Media Player to your TV with an HDMI cable.